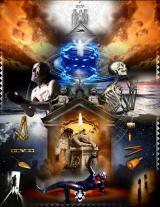 Home » Becoming a Mason » When a man can become a Mason? When he can see the great architecture of things, over rivers, hills in the distance horizon, with a profound sense of his littleness, and still feels the root of every virtue, fear, hope and courage. When he feels deep in his heart that each is as noble, vile, evil or divine as himself, and seek to understand, to forgive and to love. When he knows how to be found in solidarity with the suffering, even if he knows that sins but is in a fierce fight with the hardships of fate. When he learned how to make friends, how to keep them, and above all, how to keep them with soul. When he loves flowers, when cannot hunt birds without a gun, and when he feels the vibration of a past pleasure at hearing the child's laughter. When he can be happy and may have high thoughts, even among the worst things in life. When evergreen trees and sun reflections in streams make him remember a much loved lost friend. When a cry of despair do not pass near his ear and any helping hand raised to him can find an answer. When he finds good in every fight that help a human being to keep the essence of divine things and sees in life the greatness of things whatever name the fight has. When he can look into the roadside ditch and can see something beyond mud, and when can look into the eyes of the most unworthy mortal and can see something beyond sin. When he has kept faith in himself and his friend and his God - happy to live, without fear of death - with a sword against evil in hand, with a refrain of love in heart. This kind of man has discovered the only real secret of Freemasonry and is trying to give it back to the world.